There was a farmer making his way to the market with a fox, a chicken, and some grain. He came to a clearing with a stream. He saw a boat nearby, but he could only take one of his items with him. He knew if he took the grain, and left the fox and chicken, the fox would eat the chicken., and if he took the fox, the chicken would eat the grain. How do you get all of them across? You take the chicken across, and then go back for the fox. While you are dropping off the fox, take the chicken back, and then get the grain, and take it across. Then go back and get the chicken. 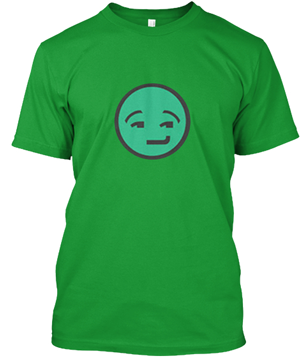 Share this with your friends! 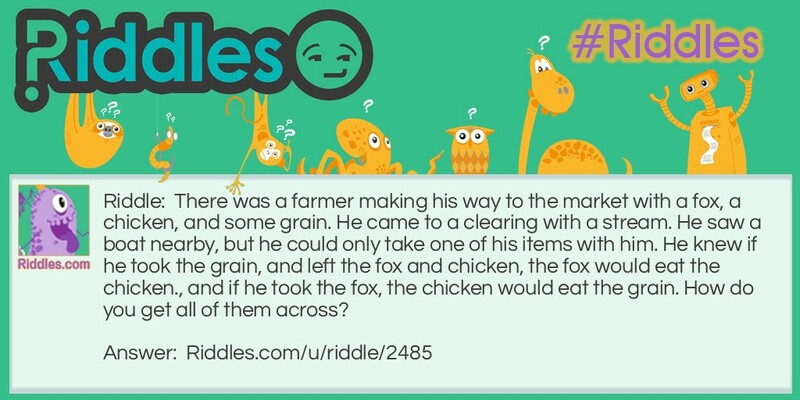 The Fox, the Chicken, and the Grain Riddle Meme with riddle and answer page link.